Iran – TRUTH IN MEDIA: TRUTH TRUMPS POWER EVERY TIME! In his first public address since taking office in January, CIA Director Mike Pompeo, said he sees China rather than Russia or Iran as the biggest threat to America’s dominant position in the world. Speaking at the Washington Free Beacon conservative “think tank,” Pompeo said Beijing merited the top spot on the US spymaster’s threat list due to its stronger economy and population. He also marked terrorism and North Korea as the biggest short-term threats to US security interests, but selected China, Russia and Iran as mid-to-long-term concerns. This editorial was filed from Barcelona, Spain, where I was at the time attending a business conference (see CHINA FOLLIES – http://www.djurdjevic.com/Bulletins/ibm-corporate/94-12.htm#China Follies). “The British textile industrialists a century ago also saw immense opportunities in China. They, too, counted Chinese heads to justify their enthusiasm. 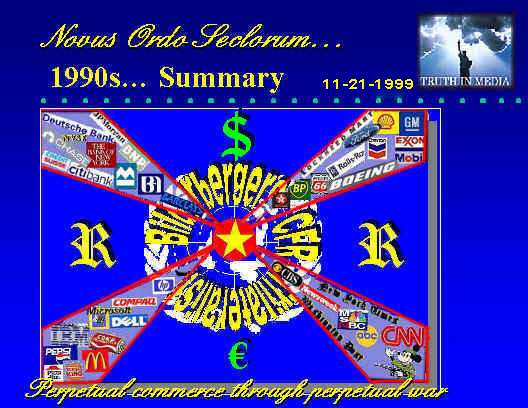 (Also see, WHO LOST CHINA?, Aug 1999, Truth in Media – https://www.truthinmedia.org/Bulletins99/tim99-8-3.html). A year and a half later, I penned this column – WHEN CULTURES COLLIDE… (published by the Truth in Media in Nov 1995, and by the WASHINGTON TIMES in Aug 1996 – https://goo.gl/CBHXjM). Furthermore, despite the inevitable turmoil which China will also face before emerging as the world power, the Earth’s most populous nation may return to glory in the 21st century. Its main contender for this honor roll will not be the U.S., as may seem likely to those who look back before forecasting the future. It will be Russia. Between the two, these leading nations have more engineers, more scientists, more soldiers and more artists than the rest of the Western world put together. In the new information-driven era, this will give them an insurmountable edge over the stagnant industrialized economies, such as Japan, Germany or the U.S, not to mention the declining ones. Not learning from history is a terrible thing. It not only shows stupidity. It also illustrates arrogance of those who think they can control things better. The five American presidents highlighted in red on the enclosed filmstrip, starting with Richard Nixon, are the ones who kept feeding the Chinese tiger hoping they could control it. George H. Bush shamefully looked the other way in June 1989 as the Chinese communist government slaughtered thousands of pro-democracy demonstrators at Tiananmen Square. CLINTON-GORE BETRAYAL OF AMERICA: THEY HELPED CHINESE LEADER LEARN HOW TO FIGHT THE U.S. Worse, he and the other presidents that followed him allowed American multinational corporations to shower China with hundreds of billions of dollars in investments that have built up China into the virtual factory of the world. Bill Clinton and Al Gore even went further in their treason against the American people and our national interests. They opened our military secrets to Chinese war planners, taking them on a tour of the U.S. military facilities and schools across the country in Aug 2000 (see http://www.truthinmedia.org/Bulletins2000/tim2000-8-8.html). “Furthermore, a low-key White House regulation change was signed by Bill Clinton on Aug. 3, 2000 at the urging of the CEOs of IBM, Unisys, Hewlett-Packard and NCR. This presidential order will allow the Chinese military to buy some of the most powerful U.S. computers without a government license or security review, the ABC News reported today (Aug. 28, 2000). The Clinton-Gore administration even facilitated classes at Harvard to teach the Chinese military leaders how to fight the U.S.
“Twenty-five senior Chinese military officers are attending a course at Harvard to learn details about U.S. decision-making that critics say will help China fight the United States, the Washington Times reported on Aug. 28, 2000.” (see http://www.truthinmedia.org/Bulletins2000/tim2000-8-8.html). So given all of the above, is there any wonder that China is today’s the greatest threat to the security of the United States? Our government and multinational corporations have enabled China to become that. This foolhardy and treasonous behavior was clearly visible to the students of history, as demonstrated in my March 1994 editorial CHINA FOLLIES which warned against it. And yet they did it anyway. Was it stupidity or treason? To the victim – the American people – it makes no difference. It hurts no less if an assailant stabs you in the back because he was clumsy versus because he intended to. Either way you end up with a knife in your back. And the Chinese knife in the back of American people was stuck by successive American presidents in the last 25 years – the stooges to the New World Order globalists. So it was definitely treason. But did the CIA chief say anything about that? Not that we can see in the media reports. Did any of the conference attendees demand arrests and prosecution of the last four American presidents for treason? Did Donald Trump, who promised to correct the unfair trading practices with China during his campaign, do something about that? So there we are. The Chinese knife is still in our backs and nobody is doing anything about it. Except, of course, trying to tax us more so they can spend more money on the military so as to repel China as the greatest global threat to us. Which they caused. So it’s same old, same old, business as usual story in Washington… 23 years and counting since my China Follies editorial. When I wrote the editorial “Selling Feat to Buy Subservience” in May of this year, I did not expect it to be just the Part 1 of an extended series (see MAFIA TACTICS LEAD TO NEW RESTRICTIVE LAWS IN CANADA, FRANCE, BRITAIN, AUSTRALIA… LIKE THE PATRIOT ACT IN THE U.S., May 2015 – http://wp.me/p3QU1S-VB). I should have known better. For, a plethora of false flag attacks had both preceded it and followed it. 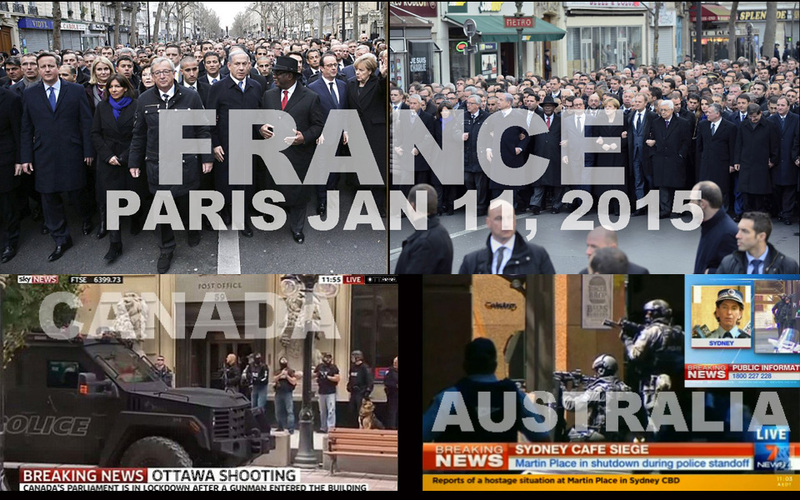 Ukraine, Canada, Australia, France, France again, Turkey, Belgium, Britain and now the USA. Again. Gotta keep those sheep in a permanent state of fear. Actually, the predictability and the increased frequency of these false flag attacks smacks of DESPERATION by the New World Order’s self-styled “elite.” It is they who are living in a state of fear… the fear that the day of reckoning may be coming soon for all these war criminals who are ready to trade human lives and the well-being of this planet for short-term personal gains. They only have one play, one strategy and one goal. Which is why their “false flags” are so easy to decipher. The play is – invent a crisis to be used as an excuse for military or police intervention. 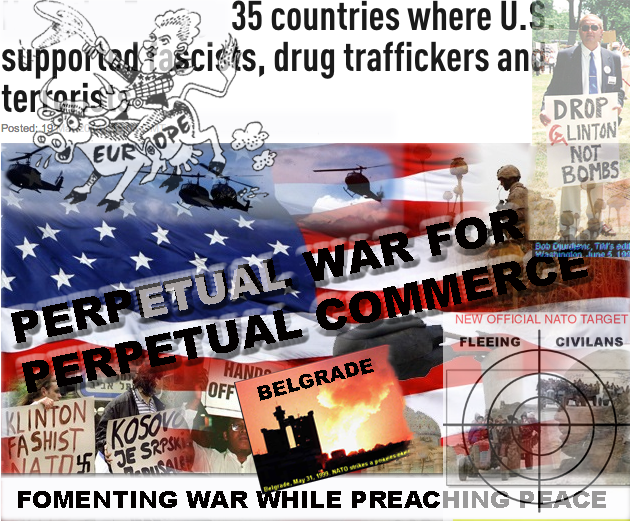 The strategy is – PERPETUAL WAR FOR PERPETUAL COMMERCE. Which is something this writer published, and the Truth in Media readers had a chance to see over 20 years ago. The goal is – dictatorship and control of the masses, the world’s sheeple. By now, most of us have seen various bits and pieces of information that suggested that the San Bernardino shooting was a staged “false flag” attack. And that the two alleged Muslim “terrorists” were actually found handcuffed and shot face down in a truck. Here’s a 9-minute video which is worth perusing because it offers not just opinions but testimonies of several eyewitnesses who claim that the actual shooters were three tall men in military garbs who made their getaway in a black SUV right after the incident. The video is a bit odd in that it starts out showing the footage by the Russian intelligence services of alleged illicit trade that Turkey has been facilitating with ISIS. I almost stopped watching the video at that point. Don’t. Because the only reason that segment is that because the Russian clips were released the same day as San Bernardino. And the author is suggesting that the U.S. attack was staged in part to divert the media attention from the Russia-Turkey conflict. Well, that’s a long shot, in my opinion. But what follows after the first minute of the video is all San Bernardino-related footage. Which is worthwhile seeing. WHY NOT MOURN ALL VICTIMS OF TERRORISM, INCLUDING STATE TERRORISM? 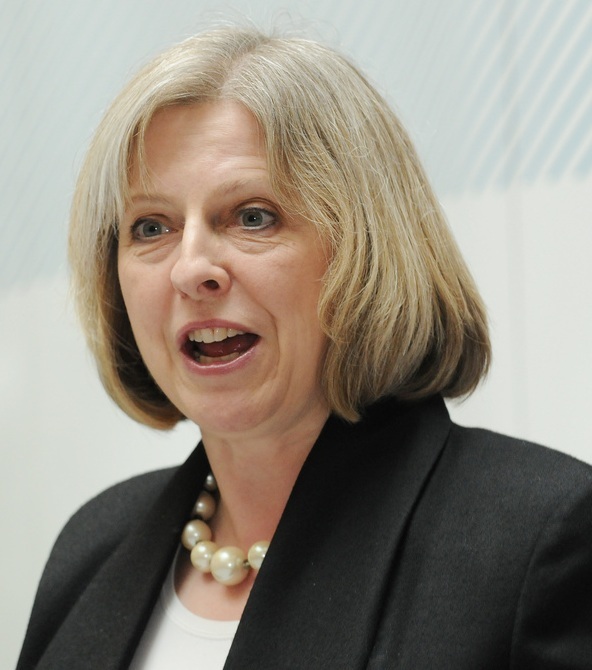 WHY DO WESTERN GOVERNMENTS LOVE RUSSIAN CRIMINALS? As usual these days, one has to read the foreign press to find out what’s happening in our country. Just like the Soviet citizens had to do at the time USSR communist oligarchs controlled the media. 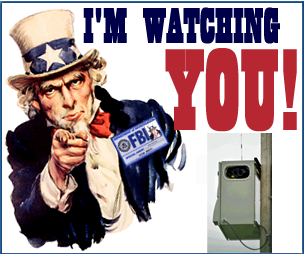 “Multiplied across the US, the ACLU has calculated that millions of Americans are subject to the surveillance, from which at its most extreme profiles of an individuals movement, behavior and associations could be created. Jay Stanley, the ACLU’s expert on technology-related privacy issues, said that the heavily redacted documents released by the FBI left many questions still unanswered. 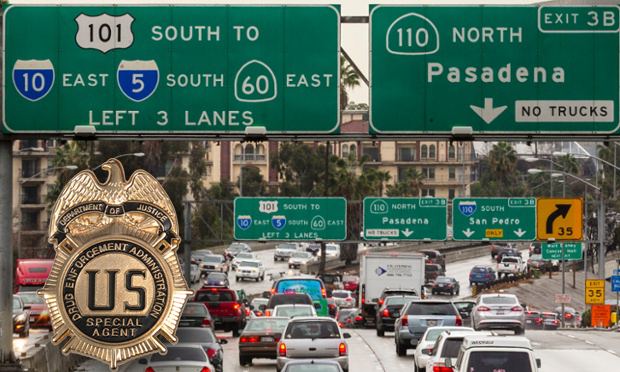 The Drug Enforcement Administration (DEA) is using license-plate reader technology to photograph motorists and passengers in the US as part of an official exercise to build a database on people’s lives. According to DEA documents published on Thursday by the American Civil Liberties Union (ACLU), the agency is capturing images of occupants in the front and rear seats of vehicles in a programme that monitors Americans’ travel patterns on a wider scale than previously thought. 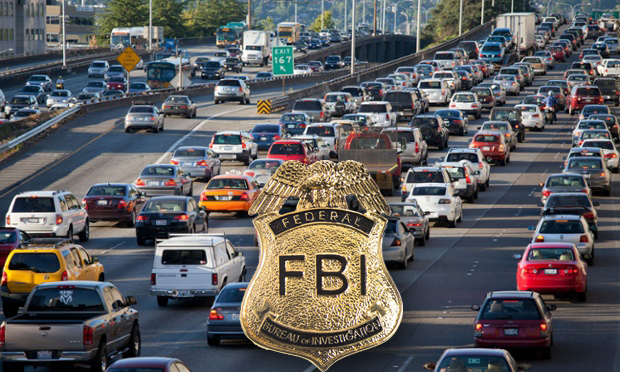 The disclosure follows the ACLU’s revelation last week about the potential scale of a DEA database containing the data of millions of drivers, which kindled renewed concern about government surveillance. 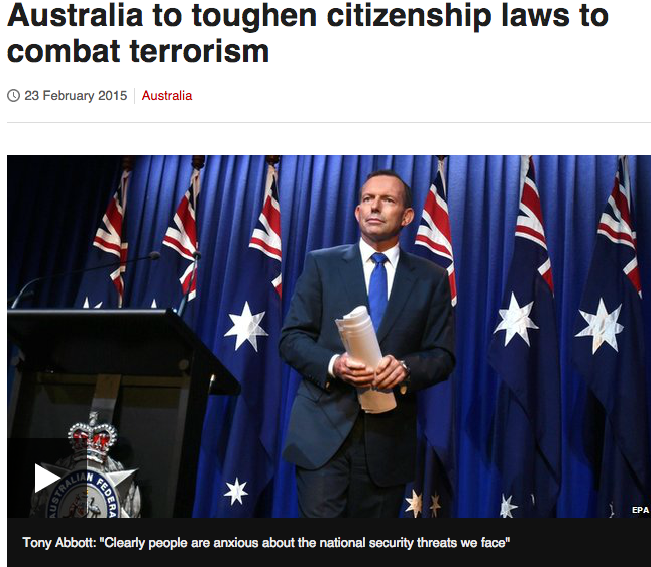 LIKE CANADA, LIKE AUSTRALIA… ANOTHER HOAX? 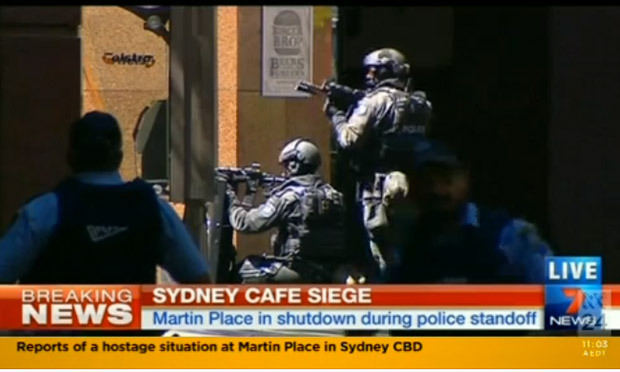 If three people had not died in the police siege of a chocolate shop in Sydney, Australia, the “terror” plot and the way the New World Order media presented it would be laughable. For, it looks and feels like a scene from the “Wag the Dog” (1997) movie. Only the sets vary. What happened in Sydney today looks and feels like another “false flag” attack. As was the one in Ottawa, Canada, on Oct. 22 (also see our contemporaneous story below). Can you imagine that? The whole country being attacked by a “lone” (!) ISIS-affiliated Islamic extremist (supposedly). After all, the government terrorism “experts” point to a link to ISIS. The outcome was also the same. 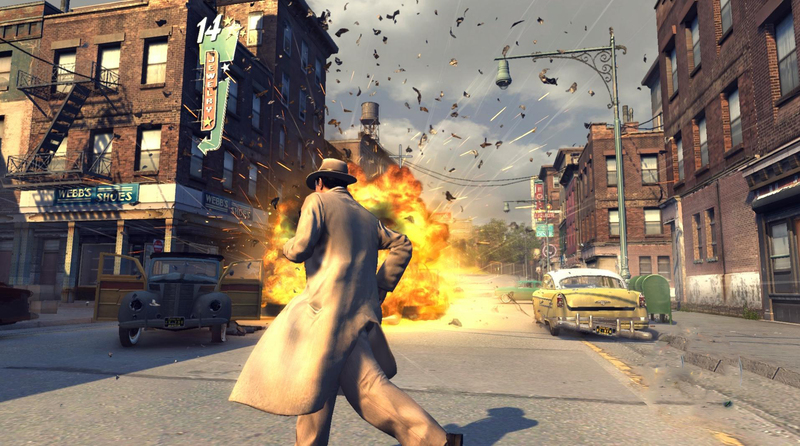 After flexing their muscles in a high rating TV drama with a massive display of force against the lone gunman, the SWAT team storm the place looking like the heroes. 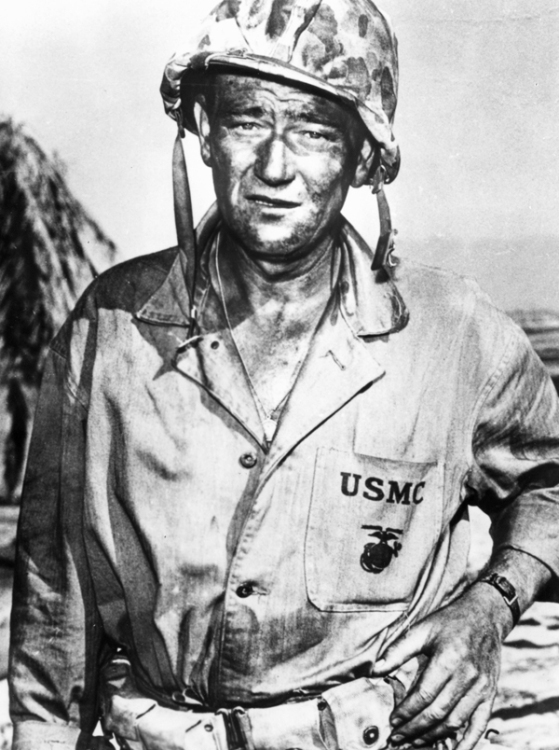 John Wayne lives on, only now donning a bulletproof vest and a police helmet. Aftermath? Two people dead in Canada including the gunman, three in Australia. Population shocked and terrified. Job done. TV production succesful. The purpose of this TV reality show? Stoke the fires of war and shore up the terrified population’s support for the newly-minted “war on ISIS.” Just as the 9/11 did in the US against Al Qaeda. 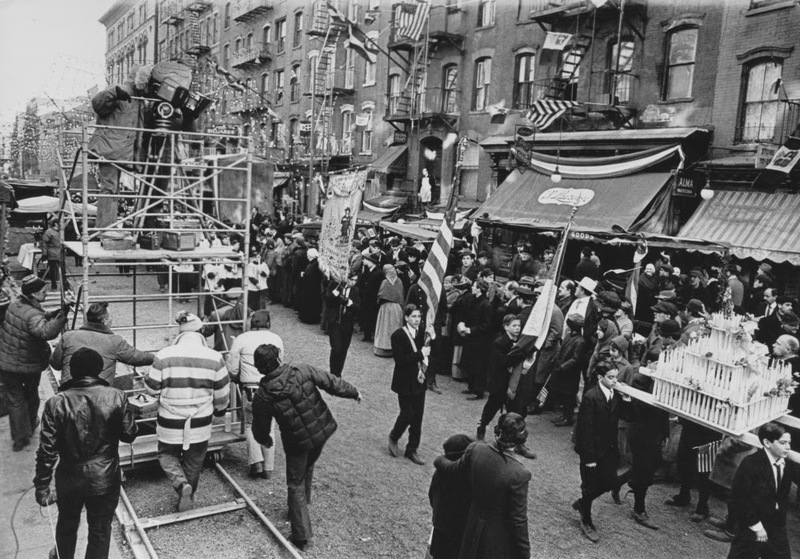 But the main goal is to scare the local population in giving up what little of their rights and liberties remain. So that the New World Order would-be masters can lord over them unobstructed pretending to protect them. Just like the mobsters do when they extort payments for protection. Meanwhile, Canada and Australia are already back in an undeclared war in Iraq. The day before the staged Ottawa “terrorist” attack, Canadian Air Force left to join the US in the bombing of the ISIS positions in Iraq. So Canadian government had already committed the country to war without the approval of the Parliament. 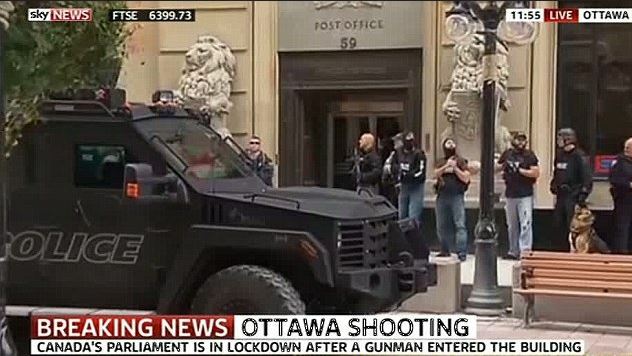 The staged attack on Oct 22 was just intended to shore up the support for it on Parliament Hill and across Canada. And Australia was in it already. Prime Minister Tony Abbott and the Australian cabinet approved on Oct 3 for RAAF Boeing F/A-18E/F Super Hornet fighter bombers to begin airstrikes against ISIS (see Australia and ISIS). 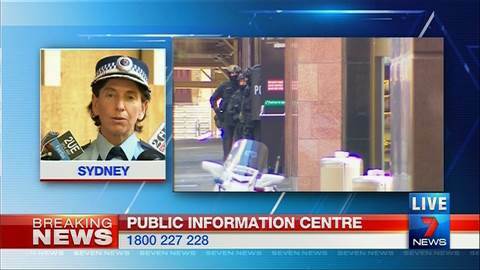 Now, back to Sydney, the lone gunman has been identified as Man Monis. The Australian media are already describing Monis as “a self-proclaimed Islamic “sheikh” who is known to Australian police because he was allegedly involved in dozens of counts of sexual assault,” according to Australia’s 9News. An ex-FBI agent Don Borelli told TODAY that the suspect appeared to be inspired by ISIS (see NBC News report). Just like the profile of that Canadian shooter. Also, like Zehab-Bibeau, Monis is a recent convert to Islam. 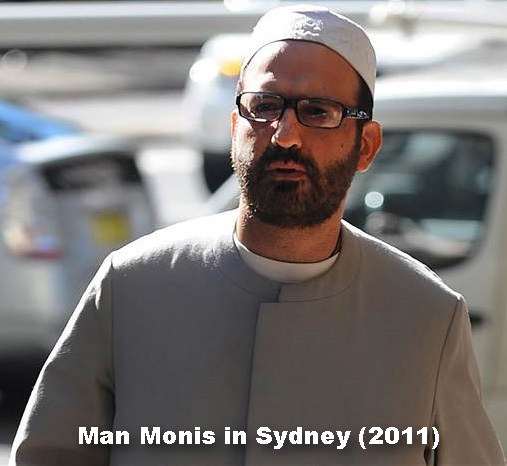 Earlier this month, Monis announced via his website he used to be a Rafidi, one who rejects legitimate Islamic authority and leadership, but “now I am a Muslim” (see “Radical self-styled sheik Man Haron Monis was on bail at time of siege” (see CH9 News). But there is at least one flaw in this “terrorism” plot. Monis was born in Iran as Manteghi Bourjerdi and migrated to Australia in 1996, according to Australia’s 9News. And Iran is now fighting AGAINST ISIS, alongside US, Britain, Canada and Australia. So why would a non-believer Iranian be fighting for ISIS? Furthermore, Australian terrorism analyst Evan Kohlmann, told Australia’s 9News that that the locale was frequently used by Jabhat Al-Nusra and other armed Islamist groups in the region — but not ISIS. UPDATE Nov 24, 2015: Maybe that’s not it – whether or not a country has signed up for the war on ISIS. Washington already has plenty of stooges in its stables. Maybe it’s about new government leaders proving themselves to the New World Order masters? Iran had repeatedly warned Australia about the Islamist hostage-taker in Sydney whose 16-hour siege resulted in the deaths of two captives, before a police operation resulted in his death as well, according to a high-level Iranian official, RT.COM reported today. Iranian-born Australian Man Haron Monis was a 50-year-old Iranian refugee and Islamic extremist who had a previous track record. Iran’s deputy foreign minister for Asia and Oceania affairs, Ebrahim Rahimpour, reported later in the day that Australia had ignored warnings about the potential danger that the man posed. The main goal is to scare the local population in giving up what little of their rights and liberties remain. So that the New World Order would-be masters can lord over them unobstructed. Here are some posts from the Truth in Media Facebook page about the Ottawa shooting. You can draw your own conclusions. I already have. There are way too many holes in this “terrorist” plot for the official story to hold water. Having been to Parliament Hill a few times, I can see why this assistant would take those photos… it is rare indeed for a phalanx of police to be stationed directly in front of the Parliament Building, and I think I’d take a shot or two of that myself. Clearly they aren’t doing anything… so what is that, a donut break for a whole squad? GIMME A BREAK, HARPER….Whoever leaked those photos has put a fox in the henhouse. I am reminded of the photos taken of cops arresting cops pretending to be protesters but who were really agents provocateur from the Quebec Provincial Police, who ‘fessed up because somebody caught a shot of the undercover cop’s boot sole… it bore a distinctive mark identified as police/military issue, and son of a gun…. in the same shot, the backside of a uniformed cop’s boot… with exactly the same logo on it. Oooops. Here we have a highly unusual situation on the Hill. In the first place, the cars are strategically placed to provide cover…. but also, that driveway would be the access route for Zehaf-Bibeau’s vehicle… which CLEARLY could not POSSIBLY have broken through that lineup without a pass. We can’t see how many there really are, because the camera does not have a wide enough angle to include the entire front of the building. Nor can we see the sides or the back.And another point. I don’t care what city you’re in, it takes a bit of time to deploy that many officers to one location, and if you watched the video they showed on the news (everywhere, and repeatedly, just like they did with the WTC) you saw that there was a whole posse after the guy, going down the hallway… so where did they come from? Well, those would likely be our donut-eaters so beautifully posing for the photos in this posting. Having had my fill of cop shows on television over the past while, and noting how realistically the police ops are portrayed, I gotta say that was the most ridiculous shoot-out I’ve ever seen… and we didn’t even see it. There were dozens of shots fired in the hallway to great dramatic effect, but in all that melee, supposedly one shot from the intrepid Sergeant-at-Arms, Kevin Vickers, took out the perp. But what we saw in the hallway was a bunch of cops spread out down the hall, rendering the back cops useless… you cannot fire at a suspect with your fellow officers in the way, and presumably if Mr. Vickers popped out of his office to shoot the dude, they’d have stopped shooting in his direction as well… but we heard round after round going off, so what were they shooting AT??? And how did all those shots MISS, but the old guy takes down the prey with one shot? Uh-huh.We don’t see a body being removed. We don’t see any blood. We don’t see the scene of the shooting, nor does anyone take us on a tour of the ricochet marks carved into the fine marble pillars of our national capitol building. Nothing. Do we even know if the kid is actually dead? 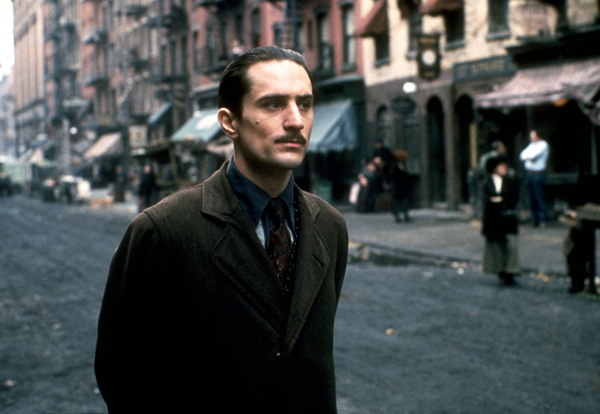 Nobody has even said what sort of wound killed him, or how many times he was shot.There’s that smell of rotting fish again. Oh, God, somebody get Stephen Harper out of the House, he’s stinking up the place…. THEY REALLY THINK WE’RE THAT STUPID. YES, THEY DO. Hopefully, this photographer will find another job far away from Parliament before anyone does some rough calculations and figures out where the shot was taken from. Already they’re going to know which party it came from. As I said, if I were this person I would head for the nearest employment agency as fast as my little legs would carry me.These photos do more to prove the whole thing was a FALSE FLAG than anything else I’ve seen, because it shows PRIOR ARRANGEMENT BY THE POLICE. Side note: If you go to the actual page and view the whole thing, you’ll see that this photographer included a shot of his/her Parliamentary pass, to prove he/she ain’t kidding. My bet is it’s a he. But whoever you are, DUCK.